Avoid Isolation. Especially if this is your first startup, it’s important to surround yourself with like-minded people who are going through the same processes as you are. It’s great to be able to reach out for advice and validating when others come to you for guidance. Grow Your Network. In a true community, you’re constantly interacting with the other companies through group messaging, events, and day-to-day interactions. If “your network is net worth” as some suggest, this can be a big boost to your personal and company growth. Pool Resources. Big companies have more resources than small companies and different companies have different resources. In a community, you can share resources and cut costs. This can lead to meaningful relationships between companies that complement each other well. Facilitate Partnerships. Some spaces will actively try to connect companies in their space with each other. Having a third party identify which companies have value to trade, and then make those introductions, can be a game changer. Shared Goals. A community is only as strong as the companies that believe in it. They can use your successes to sell interested parties and build their own partnerships. Because of this, good communities feel invested in your company when you sign your lease and are constantly looking for ways to help. We bounced around the NYC co-working circuit until we found AlleyNYC, where we’ve worked happily since the summer of 2013. Their CEO, Jason Saltzman, is actively building a community that’s different from others’. He is very present in the space and hosts events like Happy Hour Showcase and Founders’ Poker Night to foster this type of environment. 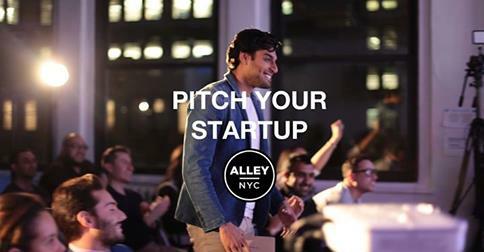 AlleyNYC’s recent partnership with Entrepreneur validates this strategy and provides them with powerful resources that are already benefiting companies in the space.